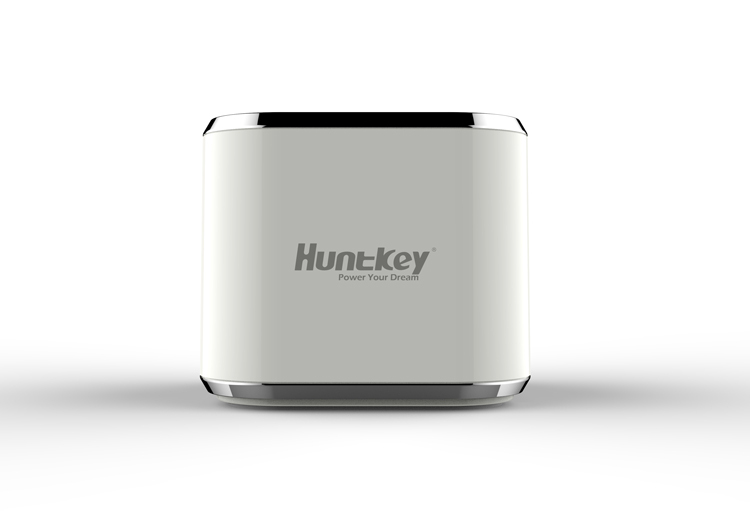 SHENZHEN, China, Feb. 1, 2018 – Huntkey, a global leading provider of power solutions, has released its new product – the SmartC, an intelligent USB power station equipped with one Type-C port to provide fast charging speed for multiple devices. Aside from one Type-C port on the top, the SmartC USB charging station also features 4 USB-A charging ports and 4 indicator lights on the same side to offer the users a different charging experience. The SmartC USB power station is delicately built with high quality components that include an intelligent chip inside to deliver diverse output currents. Applied with the smart charging technologies, it is capable of charging a wide variety of devices according to their needs, such as smart phones, power banks and tablets. Type-C, also known as USB-C, is a new protocol tailored for the next generation of electronic devices. 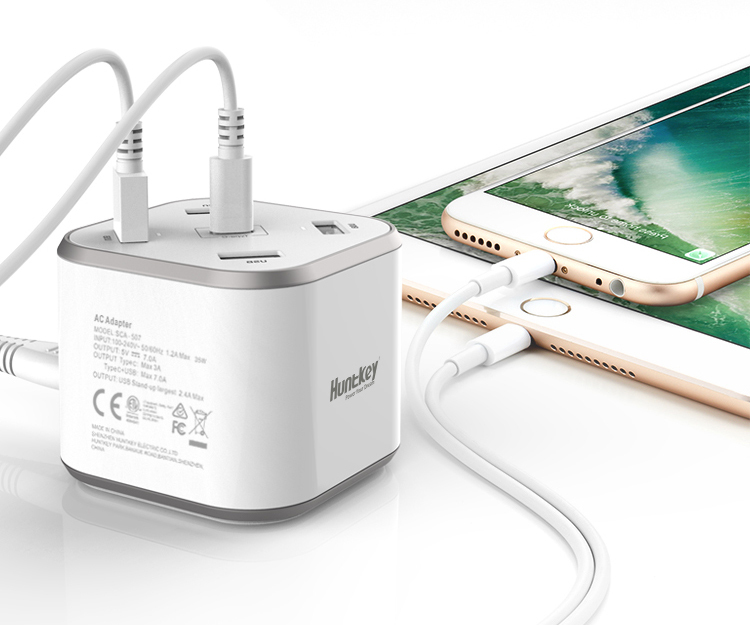 Beyond charging intelligently, the SmartC USB power station can also charge fast with the Type-C port. In order to ensure safe use, the SmartC USB power station is created based on stringent protection requirements, including OCP (Over Current Protection), OHP (Over Heat Protection) and SCP (Short Circuit Protection). Furthermore, it has been strictly tested to meet the safety standards of ETL, CE, FCC, GS and CB, which will leave the users without any safety concern. 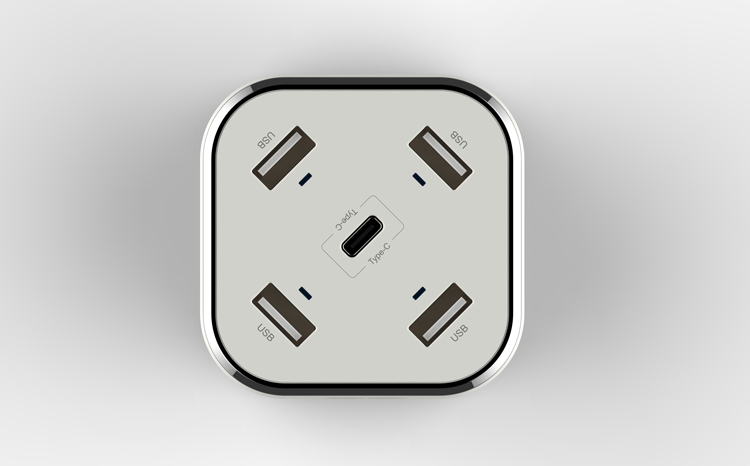 The SmartC USB power station is travel friendly with dimensions of 63.7 mm long, 63.7 mm wide and 54.6 mm high. It is even smaller than the Rubik’s cube and can be easily carried in one hand to any place at any time. Worldwide availability has begun and different standards of plugs are available in different countries. For more product information please contact local Huntkey retail stores.